Quicken Loans may be nipping at its heels, but Wells Fargo isn’t ceding its spot atop the mortgage-lending heap without a fight. The banking giant intends to hold onto its position as the biggest fish in the $1.7 trillion US mortgage pond, even as it projects shrinking profit margins on home loans this year, Chief Financial Officer John Shrewsberry told Bloomberg in a recent interview. “We want to be number one, regardless of who we’re competing with, because that’s the position we hold and we’re enthusiastic about it,” Shewsberry told Bloomberg. Banks like have dominated the mortgage market since the financial crisis. However, over the last few years they’ve been grudgingly giving ground back to nonbank lenders. At the same time, Quicken Loans has utilized its online Rocket Mortgage platform and other technology to outperform practically every other US mortgage provider, Bloomberg reported. For Quicken, only one giant remains to be slain: Wells Fargo. And Quicken seems confident that it will do just that. Last month, Chairman Dan Gilbert told Bloomberg that Quicken would soon overtake the banking behemoth. “We’ll be the largest retail market share lender within a short period of time,” Gilbert said. The mortgage company still has quite a gap to bridge, though. In the year ending Sept. 30, Quicken Loans originated about $88 billion in home loans, according to Bloomberg. 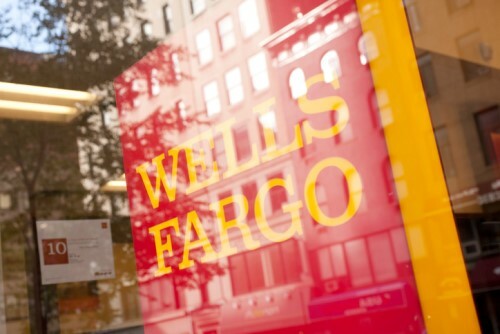 Wells Fargo’s retail originations for the same period totaled $107 billion. And when mortgages done through correspondent lenders are included in the total, Wells Fargo’s originations for the year shoot up to $231 billion.